This past week I read two books by Elin Hilderbrand both set in a different season then the majority of her novels. 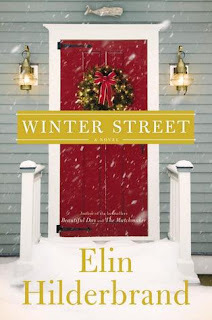 Both were based in winter right around Christmas time and I do have to say that they were my least favorite of all the books I've read by Elin. The problem that I had with these books was there were so many narrators and so many storylines going on all at once. I would get excited about one storyline and then it would switch to a different character and a totally different story. I was able to keep everything straight but I easily got frustrated because I just wanted to know what was happening with one character at a time. I really enjoyed the love triangle Ava was in and found her story entertaining from beginning to end. I also really enjoyed Margaret the mother but got frustrated with Mitzi throughout both novels. I did enjoy Winter Street more then Winter Stroll. If the story had ended with Winter Street it probably would've been enough. 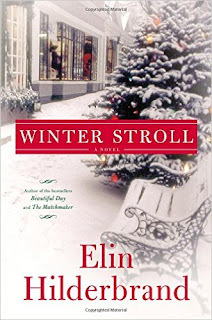 I don't have any books on my to-read list but I think I will continue on my Elin Hilderbrand kick. I also have preordered books from Kristin Cavallieri and Emily Maynard so I can't wait until those are released!